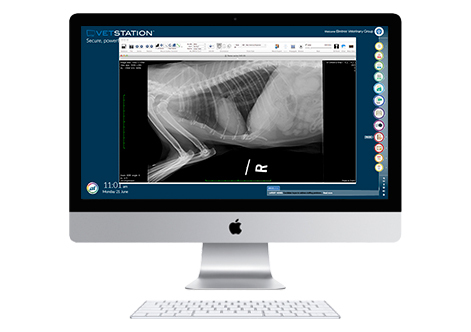 With massive processing power and an array of advanced tools, the VetStation IRIS employs the latest Apple technology to bring you an integrated imaging and information management system. DICOM files are stored together with clinical notes, laboratory reports, forms, photos and invoices, all on the patient record. With the IRIS Server, this system provides the most advanced integrated system on the market, allowing you to practice better veterinary medicine. The VetStation IRIS brings cutting-edge image processing to your practice. The system comes with all the integrated functionality of a VetStation but is also available as a standalone digital imaging solution.